At cityhomeCOLLECTIVE, we love any chance to represent for girls doin' it for themselves, so the theme for the upcoming PechaKucha Night | Vol. 15 has got us riled and rally-ready [it's Women in Architecture, and color us stoked to attend]. 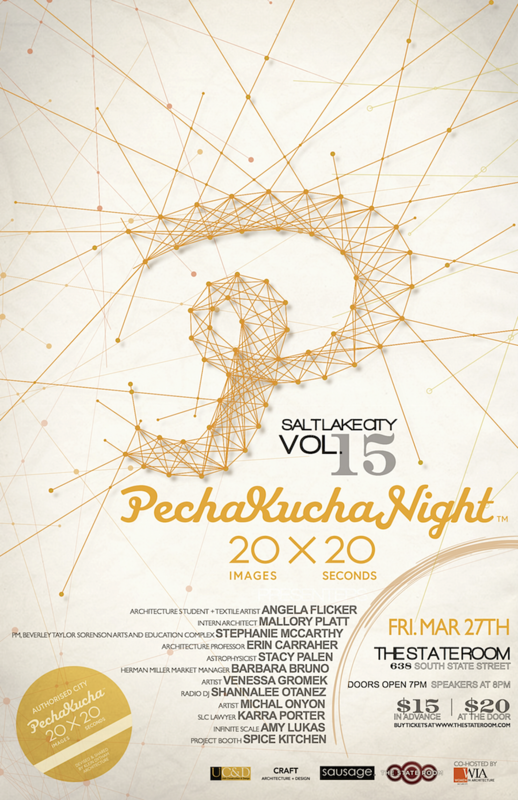 PechaKucha Night [one of our favorite nights of all!] is a chance for a few well-spoken locals to present on a theme using the 20 x 20 format--each guest speaks on 20 slides for 20 seconds each. The first ever PechaKucha night was held in Tokyo in 2003 [fun fact: at a bar called SuperDeluxe], and the conversation has been kept alive in an environment that's equal parts clever and casual ever since. Food + drink + architecture speak = exactly our cup of tea. Listed speakers include astrophysicist Stacy Palen, textile artist Angela Flicker, and architecture professor [and one of cityhomeCOLLECTIVE's favorite gals of all time] Erin Carraher. Tickets are $15 in advance and $20 at the door [if they're still available]. Snap 'em up while the getting is good, and join us for an evening of eats, drinks, and education.